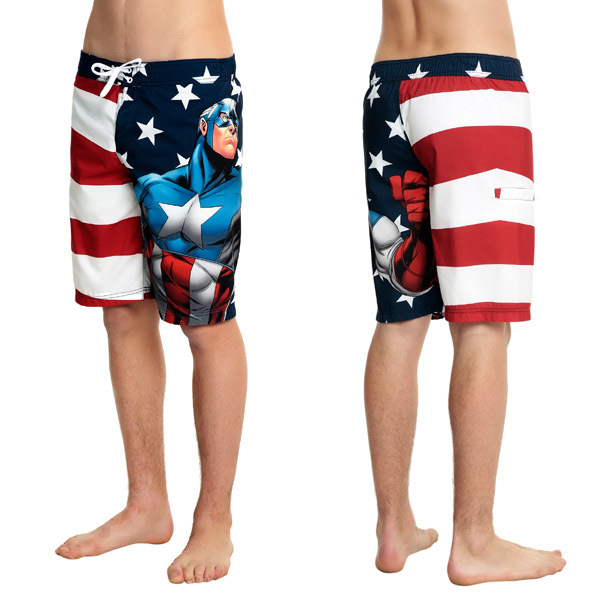 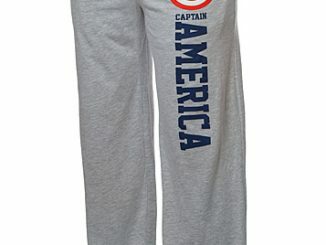 Show your patriotic, comic-book-loving spirit out by the pool when you wear the Marvel Captain America Swim Trunks. 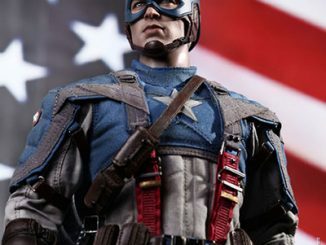 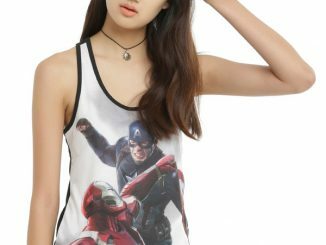 You don’t have to be a super-soldier or battle threats like Ultron or Hydra in order to wear this Captain America bathing suit. 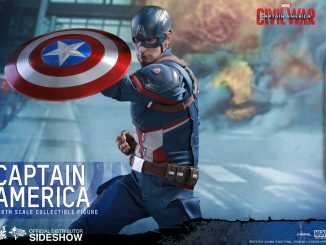 You just have to like the first Avenger and the American flag. 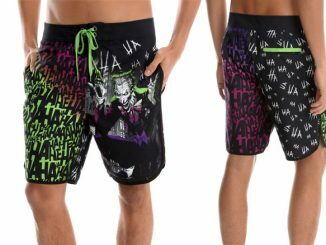 The trunks are 100% polyester, have a decorative string tie waistband, and a self-stick fabric closure fly. 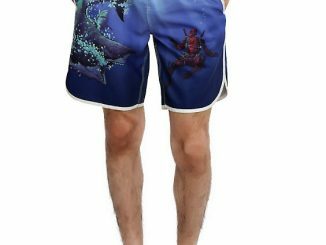 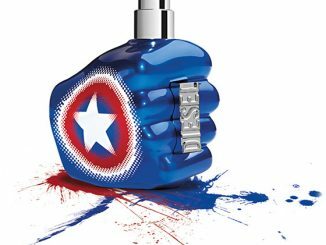 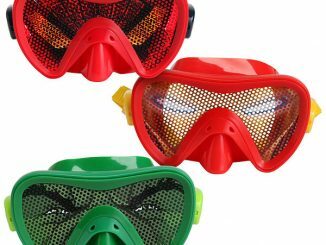 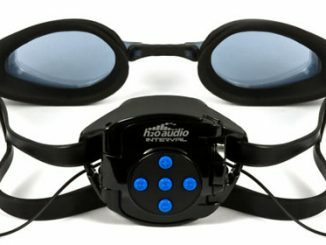 Wear them when you fight Prince Namor on his own turf… or when you just plan to hang out at the pool or beach. 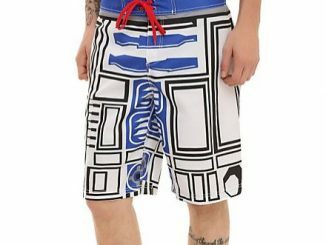 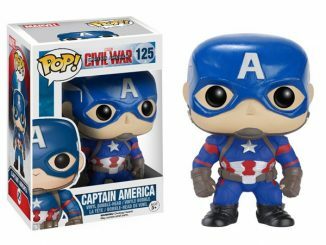 The Marvel Captain America Swim Trunks are available for $23.60 at Hot Topic.